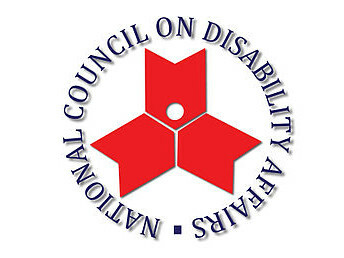 In celebration of the 34th National Disability Prevention and Rehabilitation (NDPR) Week on July 17 – 23 this year, the National Council on Disability Affairs hereby issues this Announcement on the matter aforesaid. "Legal Basis: Proclamation No. 361 (2000), as amended by Administrative Order No. 35 (2002).Theme: The celebration has adopted the theme “Mainstreaming Persons with Disabilities in Economic Development.” This was conceptualized to contribute and promote the full employment of persons with disabilities and to tackle barriers and gaps, facilitate stakeholders’ cooperation, develop innovative approaches and support human rights-based initiatives for the economic development of persons with disabilities." Proposed Activities and Schedules are here. Mga KA-CHAPTERS from all over the country, take advantage of NDPR season to gather your constituents and raise awarenness on and exetcise rights and privileges of PWAs through relevant and purposeful events. Coming together shows and increase our strength as a sector! We want to see a much bigger crowd of PWAs and families in the next Angels Walk!